In the name of the “war on terror,” the French state is dramatically accelerating its use of clandestine operations to extra-judicially murder targeted individuals. French President François Hollande reportedly possesses a “kill list” of potential targets and constantly reviews the assassination programme with high-ranking military and intelligence officers. This programme of state murder, violating basic constitutional rights in a country where the death penalty is illegal, underscores the profound decay of French bourgeois democracy. Amid escalating imperialist wars in France’s former colonial empire and deepening political crisis at home, the state is moving towards levels of criminality associated with the war against Algerian independence and the Vichy regime of Occupied France. Press reports have revealed the French state’s assassination programme—carried out particularly in the regions where France has launched military interventions supposedly to fight terrorism, in Africa and the Middle East—and applauded it. This state of affairs points to the complicity of the entire political establishment in the establishment and the promotion of an apparatus of political killing in France. Le Point reported the existence of a special death squad belonging to France’s external intelligence agency, the General Directorate for External Security (DGSE). This unit, known as “Alpha agents,” was created in the 1980s by General Jean Heinrich, then the DGSE’s director of operations, “to bury potential operations in the dark folds of the world of shadows,” Le Point stated. In his recent investigative account, The Killers of the Republic, journalist Vincent Nouzille exposes the assassination programme of successive French governments. To assert its imperialist interests in Africa and the Middle East, the Elysée presidential palace secretly leads a campaign of state murder. Nouzille reveals the existence of a clandestine cell within the DGSE, whose agents and commandos are trained to carry out targeted killings or “Homo [homicide] operations,” often in or near conflict zones. During the NATO-led war in Libya to topple the regime of Colonel Muammar Gaddafi in 2011, these special commando forces helped Al Qaeda-linked Islamists forces capture, torture, and summarily execute Gaddafi. “This was the case in Libya, the special forces acted in civilian clothing. They played a key role in toppling the Gaddafi regime,” Nouzille said. It is under Hollande’s Socialist Party (PS) that the assassination programme has been intensified to a level unprecedented since the Algerian war of 1954-1962. During that war, French death squads summarily murdered hundreds of fighters of the National Liberation Front (FLN). Hollande’s assassination programme underscores the PS’s reactionary role and exposes the bankruptcy of pseudo-left organisations like the NPA, which called for voting for Hollande in the second round of the 2012 presidential elections. Having backed the war in Libya, they are totally silent on the French state’s assassination programme. The significance of large-scale secret state murder in France can only be understood in the context of the escalating imperialist interventions of the NATO powers in Africa and the Middle East, and rising social tensions in France itself. As it seeks to recolonise its former colonial empire through naked terror, the French ruling class also fears rising discontent with the austerity policies of the European Union in the working class. 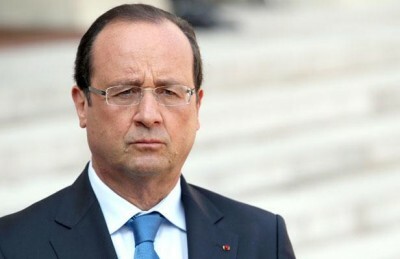 The Hollande administration is the most unpopular in France’s post-World War II history. In these conditions, there is a massive bureaucracy of murderous repression. Its targets will not only be drawn from Islamist forces, many of which have close ties to Western intelligence services, including the DGSE—as the Libyan war made clear. They also include the French people, and above all opposition in the working class. The reports on Hollande’s “kill list” coincide with the imposition of sweeping police state measures inside France itself, including a surveillance law giving intelligence and police vast powers to spy on the entire population.